Let's pray to them to intercede in the name of Lebanon. Amen. Two thousand years ago, news of the teachings and the healing powers of the Prophet of Galilee reached Lebanon early in his ministry, and prompted people from Lebanon to go and witness the wonder of this man called Jesus. He himself was to visit Lebanon and while there he famously turned water in wine at Cana, southeast of Tyre, and also healed the daughter of a Phoenicia woman (Matt. 15, 21-28; Mk. 7, 24-31). A couple of miles southeast of Sidon lies a grotto housing a Church dedicated to Sayyidat al Mantarah (Our Lady of the Watch) and is where Mary awaited her son's advent. Many of Christ's followers went to Lebanon and St. Paul visited and stayed in Lebanon on a number of occasions and by the close of the second century Tyre had become the seat of a Christian bishop. In 325 the bishop of Sidon attended the coucil of Niceia and in 335 a council was held in Tyre, at about the same time a missionary from Tyre introduced Christianity to Ethiopia. Christianity has thus been linked with Lebanon from the earliest of times and plays a major role in its culture and society and monasteries cover its landscape. Being such a religious land it is not surprising that Lebanon has produced a number of Saints through the ages. During the first decades of persecution the Lebanese offered many martyrs such as St. Tlalaos of Mount Lebanon (d.284) St. Aquilina of Byblos (d.293), St Christina of Tyre (d.300), St Theodosia of Tyre (d.293), St Kyrillus of Baalback (d.362) St. Dorothee, bishop of Tyre (d.362) and many others. However not all of the Saints lived in days of antiquity. Lebanon has also been blessed with relatively modern Saints who inspire millions. Saint Charbel Makhlouf, whom Pope Paul Vl canonized on October 9th, 1977, and Rafqa Rayess, whom Pope John-Paul II beatified on November 17th, 1985, and Nimutallah al-Hardini's beatified by Pope John Paul II on Sunday May 10, 1998 are Maronites who followed Jesus Christ, doing his will. Saint Maroun, born in the middle of the 4th century was a priest who later became a hermit, retiring to a mountain of Taurus near Antioch. It is believed that he spent all of his life on a mountain in the region of Cyrrhus, in a place called "Kefar-Nabo" on the mountain of Ol-Yambos. The holiness of this saint and his miracles attracted many followers, and drew attention throughout the empire. St John of Chrysostom sent him a letter around 405 AD expressing his great love and respect asking St Maroun to pray for him. St Maroun is considered the Father of the spiritual and monastic movement now called the Maronite Church which had a profound influence on Lebanon. Saint Maroun's first disciple Abraham of Cyrrhus, who was called the Apostle of Lebanon, realised that paganism was thriving in Lebanon, and so he set out to convert the pagans to Christians by introducing them to the way of St Maroun. The followers of St Maroun, both monks and laity, always remained faithful to the teachings of the Catholic Church. 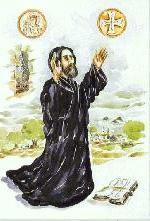 St Maroun's way was deeply monastic with emphasis on the spiritual and ascetic aspects of living. For Saint Maroun, all was connected to God and God was connected to all. He did not separate the physical and spiritual world and actually used the physical world to deepen his faith and spiritual experience with God. St Maroun embraced the quiet solitude of the mountain life. He lived his life in open air exposed to the forces of nature such as sun, rain, hail and snow. His extraordinary desire to come to know Gods presence in all things, allowed St Maroun to transcend such forces and discover that intimate union with God. He was able to free himself from the physical world by his passion and fervour for prayer and enter into a mystical relationship of love with God. 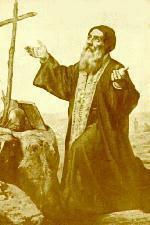 St Maroun was a mystic who started this new ascetic-spiritual method that attracted many people to become his disciples. Accompanying his deeply spiritual and ascetic life, he was a zealous missionary with a passion to spread the message of Christ by preaching it to all he met. He sought not only to cure the physical ailments that people suffered, but had a great quest for nurturing and healing the "lost souls" of both pagans and Christians of his time. After his death in the year 410 AD, his spirit and teachings lived on through his disciples. After pronouncing his vows, his hair was cut to show his dedication. He was then dressed in the black monastic habit, the angelic cowl [hood], the belt of the Order, the tassel and the habit (Matar 1998). Each of these has its own special meaning and is an important symbol in the novitiate's transition to monkhood. Yussef was now Father Charbel, a name he took in honor of an earlier Saint Charbel, a martyr of the Antiochian Church. In wearing the monastic habit, cowl and belt, he was no longer part of the world or his family. Now he belonged to God and his community of monks. He must say Mass and visit the chapel frequently night and day. He must pray, meditate and read the Holy Scriptures. He must do manual labor as a powerful remedy for many temptations, as a proof that he is not deserting his human obligations and in accordance with the stern injunction of Saint Paul: "If anyone will not work, neither let him eat." The hermit can eat only one meal a day, which is sent by the monastery. He must never eat meat or drink wine. During Lent he can have only vegetables, with a little oil. He must not sleep more than five hours. He must observe strict silence. 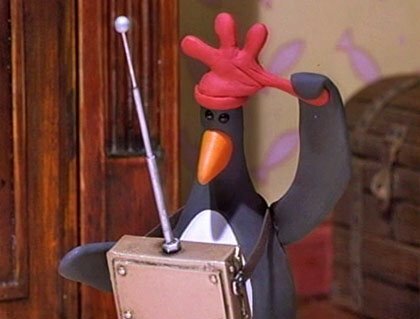 In case of necessity, he must speak briefly and in subdued tones. He must not leave the hermitage without the express consent of his superior (Vincent 1992: 52; Benedict 1990: 76-77; St. Charbel Makhlouf 1989: 54-56; Daher 1965:103-107). Father Charbel suffered a stroke on December 16, 1898 while he was reciting the prayer of the Holy Liturgy: "Father of Truth, behold Your Son, a sacrifice pleasing to You. Accept this offering of Him who died for me..."As he fell to the floor, he kept his hands clasped around the Holy Eucharist. His companion, Father Makarios Al-Mishmeshani the Hermit, and some other monks helped him to his cell. Eight days later, on Christmas Eve, he died while murmuring the names of Jesus, His Blessed Mother and Saint Joseph. (Chebli 1950: 24-25; 'Awwad 1952: 33-34) This marked 23 years of solitude lived in total abandonment to God. Through the intercession of Saint Charbel, many miracles have occurred since his body was laid to rest in the catacombs of the Monastery of Saint Maron in 'Annaya one hundred years ago. Myriad are the physical miracles and innumerable are the souls that have been healed. It is much easier for a person to proclaim one’s physical cure than to admit the healing of one’s soul. Recently, a young married woman and mother of two, named Nadia Sader, publicly confessed her life of sin and proclaimed the work of Saint Charbel in her life. Her courage to speak in public astonished Lebanese society. According to her testimony, not only did she believe in the pleasures of this world, but she had experienced all of them. Then she was struck with an incurable disease that left her paralyzed and in unbearable pain. After medical examinations and trips to France to find a medical cure, this beautiful woman in her thirties, rich and prominent, was at the mercy of God. Family and friends advised her to pray, to trust only in God's mercy or be blessed by a relic from Saint Charbel. However, her arrogance and cynicism prevented her from believing in Saint Charbel even after he appeared to her and she was cured time and time again. Finally, her baptism of pain and tears paved the way for her true baptism in the Spirit. Nadia finally bore witness to divine love through Charbel's intercession. In a society of double standards, she stood blameless before God and Saint Charbel. She had become humble yet dignified through God's forgiveness. "In the name of the Father, the Son and the Holy Spirit, always testify to the cure of your soul and not your cure from pain. Carry your pain in silence for the Glory of God. Listen and pray. Through the Rosary, you overcome your enemies and the wicked will leave you alone. Through confession and communion you protect your bodies. Through your love, work and prayers, you save your souls --so do not let anyone lead you astray." (Sayfi: 1997: 54-62). Nadia was not the first person to have been touched by the mercy of God, Our Heavenly Father. She will not be the last. Nouhad El-Shamy and Raymond Nader are two of the most recent believers, blessed by visions of Saint Sharbel, one of the greatest saints of our times. 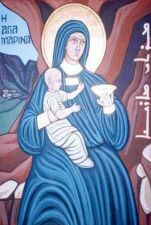 Boutrosiya (Pierina) Shabaq al-Rayes, the only child of her parents, was born on the feast of Saints Peter and Paul, the 29th of June 1832 in Hemlaya, Lebanon. Her father was Mourad Saber Shabaq al-Rayes and her mother was Rafqa Gemayel. She was orphaned upon her mother's death six years later. After working as a maid in the house of her father's friend in Syria from 1843-1847, she returned to Lebanon. In 1853, she entered the convent of Our Lady of Liberation in Bikfaya and became a nun in the Marian Order of the Immaculate Conception (Saadé 1986: 11-12). Boutrosiya recounted that "As I entered the church of the convent, I felt immense joy, inner relief; and looking at the image of the Blessed Virgin, it seemed as if a voice had come from it and entered the most intimate part of my conscience. It said to me: 'You will become a nun' (A Message 1985: 7). She became a novice on Saint Maron's day, the 9th of February 1855. In 1856, she pronounced her monastic vows and took the religious name of Anissa (Agnes). While serving in Deir-el-Qamar in 1860, she witnessed the massacres of the Christians in the Chouf Mountain and was greatly affected by the suffering of her people. In 1871, her order united with the order of the Sacred Heart of Jesus to form the Order of the Sacred Hearts of Jesus and Mary. The nuns were given the free choice of joining the new order or another existing order, or resuming lay status after being dispensed from their vows. This was a very difficult time for the nuns of both orders who were not involved in the original decision to unite. Sister Anissa was teaching in Ma'ad in the Batroun region in North Lebanon. When she learned of the decision and the new situation, she went to Saint George's Church to pray. While in prayer, she cried because of her great distress. She fell asleep and felt the presence of someone who told her, "I will make you a religious" (A Message 1985: 11). That night she dreamed of a man with a long white beard carrying a staff shaped like a "T" at the tip. He told her twice: "Become a nun in the Baladiya Order (The Lebanese Maronite Order)" (A Message 1985: 12). Sister Anissa did enter. Through interpretation of her dream, Sister Anissa learned that the old man in her dream was Saint Anthony the Great, who carries a baton with a T-shape tip, made from a branch of a tree. Saint Anthony is the model of monastic life for the Baladiya Order. On the 12th of July 1871 when she was 39 years old, she entered the novitiate again but it was at the monastery of St. Simon in El-Qarn as a member of the Baladiya Order. Her new religious congregation was cloistered. The nuns prayed, meditated, worked in the monastery and lived a life of asceticism. Her novitiate was documented in the records of that monastery as follows; "Sister Rafqa, whose name was Boutrosiya from Hemlaya, began her novitiate on the 12th of July 1871 at the age of 39" (Saadé 1986: 119). Two years later, on the 25th of August 1873, she made the solemn profession of her perpetual vows of obedience, chastity and poverty in the spirit of the strict Rule of the Baladiya Order. In the records of St. Simon's monastery we read "Sister Rafqa received her angelic cowl (the hood) from Father Superior Ephrem Geagea al-Bsherrawi during the administration of Sister Zyara al-Ghostawiye, Superior of the monastery on the 25th of August 1873" (Saadé 1986; 119). She took her mother's name Rafqa (Rebecca) as her religious name. The Lebanese Maronite Order has its roots in the early monastic life in the East. However, it became an institution in the modern sense of the word in 1695. Pope Clement XII approved the monastic rules of the Order on the 31st of March 1732 (Shehwan 1996: 499). In 1736 at the Lebanese Synod, the women's branch of the Order was organized under the same rules (Azzi & Akiki 1995: 36). Their relationship with the men's branch was spiritual and administrative (Shehwan 1996: 505). Their monastic life was that of an Oriental solitary type, which stresses prayer, contemplation and asceticism (Shehwan 1996: 502). Life as an enclosed (semi-cloistered) nun of the Baladiya or the Lebanese Maronite Order was not easy, and not everyone could observe the strict, rigorously observed rules. The Order followed the monastic spiritual and idealistic values of "following and imitating Christ; communal, fraternal life; emulating the martyrs; under Christ's banner, fighting against evil; spiritual expatriation (Ghourba: absence from our "heavenly home"); and waiting for the Second Coming with eternal life in the Divine Presence (Azzi & Akiki 1995: 49-50). The Order also follows the monastic practical and living values of "obedience, chastity, poverty, prayer, work, mission, and communal living" (Azzi & Akiki 1995: 50-52). The nuns followed the basic monastic principle: pray and work. Their monastic daily life was divided as follows: prayer, chanting the office, meditation and Holy Mass, during the three hours from 4-7 A.M. Then came work from 7 to 10 A.M.
At 10 A.M. the nuns would sing the Breviary and this was followed by breakfast. Then they worked in the convent, paused to pray the Breviary once again, read from spiritual works and engaged in pious conversation as a community. At 2 o'clock in the afternoon they recited Vespers and this was followed by supper. Half an hour after sunset, they conducted the evening prayers from the Breviary, followed by the "great silence" when the nuns retire to their respective cells to meditate and rest until midnight. At that time (midnight), they leave their cells to join together in singing the first part of the Breviary. That would ordinarily last one and a half hours but during lent and Holy Week would last two hours. Back in their cells, they would be called again at four in the morning. Many of the nuns would stay in church to pray and meditate waiting for the four o'clock call to begin their day again [i.e. some nuns remained in chapel, and not in their cells, at prayer from midnight until 7 A.M.]. (A Message 1985: 15-16). 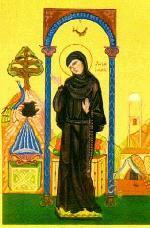 Rafqa lived her monastic life in great joy. On the feast of the Holy Rosary in 1885, seeing that she was blessed with health, Rafqa asked our Lord to let her share in the suffering of His crucifixion. Sister Rafqa prayed "Why, O My God, why have you distanced yourself from me and abandoned me? You have never visited sickness upon me! Have you perhaps abandoned me?" (A Message 1985: 17). Blessed Rafqa was born in Lebanon at a time when suffering was the daily bread. She witnessed and experienced distress. For her to ask for more suffering is beyond comprehension. But Rafqa so requested. She believed that suffering is the path to salvation and a source of joy. Emulating Christ's love, she prayed asking to share in the suffering of Jesus and her people. Her prayers were answered. From that night on her health began to deteriorate, yet she rejoiced in being made worthy to participate in the suffering of Our Lord. She began feeling pain in the optic nerves. The doctor who was treating her pierced through and destroyed her right eye in a barbaric manner. During bleeding and unbearable agony, Rafqa said only: "In communion with Christ's passion." Her other eye deteriorated and she became totally blind. Rafqa continued to suffer optic hemorrhage daily. She was left with no strength or energy. Blind and in pain, she continued to work by spinning wool and cotton and knitting stockings for the other sisters. She took part in common prayer, chanting the psalms and reciting the Breviary -- all of this from memory. Even when blind and weak, she often begged the mother superior to let her share in the daily work of the other sisters. Refusing to eat what was considered the good food, Rafqa often chose to eat the leftovers. In 1897, Sister Rafqa was transferred to the monastery of Mar Youssef of Grabta (Saint Joseph) with Sister Ursula Doumit, the superior, and three other sisters. In this monastery, Sister Rafqa's earlier request of suffering continued to be granted. In 1907 she told her superior about the intolerable pain. Rafqa soon became totally paralyzed, with complete disfunction of the joints. In a 1981 medical report based upon the evidence presented in the Canonical Process, three specialists in ophthalmology, neurology and orthopedics diagnosed the most likely cause as tuberculosis with ocular localization and multiple bony excrescencies. This disease causes the most unbearable pain. Rather than ever complain of her pains, she prayed unceasingly, saying: "In communion with Your suffering, Jesus", "With the wound on Your shoulder, Jesus," "With Your crown of thorns, Jesus," "With the sufferings caused by the lance… by the thorns… by the nails of the Cross, my Lord Jesus." Under obedience, the superior, Sister Doumit ordered Sister Rafqa to tell her life story since she did not wish to do so because she was humble. On the 23rd of October 1914, Sister Rafqa asked for final absolution and the plenary indulgence. She died in peace and received a humble monastic burial in the tombs of the monastery. Four days after her death, Sister Ursula Doumit experienced a miracle, which took place through the intercession of Sister Rafqa. For eight years, Sister Ursula Doumit had been suffering from a lump in her throat that prevented her from even drinking milk. On the fourth night after Rafqa's death, after having asked the other sisters to let her rest undisturbed, she heard a knock at the door of her cell and heard someone say, "Take sand from Rafqa's grave and swab your throat with it. You will be cured." (A Message 1985: 281). Sister Ursula thought that one of the sisters had come to her about community affairs, so she asked to be left alone and went back to sleep. Again there was a knock and she heard the same message. She answered "I will get the sand when morning comes." In the morning, after learning that none of the nuns had knocked on her door, she went to Rafqa's grave and took some sand. Though still in wonder about what had happened during the previous night, she mixed the sand in water and swabbed the lump. The lump disappeared immediately. Sister Ursula had been miraculously cured! Since then, she advised all who came come to her with an illness to do the same. On the 23rd of December 1925 and during the tenures in office of Maronite Patriarch Elias Howayek, the Superior General of the Lebanese Maronite Order Abbot Ignatius Dagher, and Pope Pius XI, the Lebanese Maronite Order presented Rafqa's cause for beatification to Rome. The causes of the future Blessed Hardini and Saint Sharbel were submitted at the same time. Many physical and spiritual healings have been attributed to Rafqa's intercession such as the miracle of Joseph Ibrahim Fayyad, a child who was cured from a cancer at the right side of his neck in 1925, the miracle of Kafa Youssef Gerges, a child who was cured from paralysis in 1924, the miracle of Linda Philippe Hanna Sakr, a child who was cured from acute hemorrhage in 1924, the miracle of Mariam Hatem who was cured from nervous disorders in 1925, the miracle of Dona Youssef Abdallah who was cured from a skin disease in his leg in 1924, the miracle of Fahd, a boy who was cured from paralysis in 1925, the miracle of a woman from Ain Kfaa who was cured from ear pains in 1925, the miracle of Rachel Mahmoud el-Khazen who was cured from nervous disorders in 1935, the miracle of Michel Elias Sarrouf who was cured from an unknown disease that prevented him from speaking, the miracle of Marian Habbour who was cured from colon cancer in 1952, and the Miracle of Basma Youssef el-Khoury who was cured from skin cancer in 1966. However, the miracle put forward for the Beatification of Sister Rafqa was the instantaneous, complete, definitive and scientifically inexplicable curing of a Lebanese woman named Elizabeth En-Nakhel from Tourza in northern Lebanon, who was suffering from uterine cancer. Elizabeth was cured, through Rafqa, in 1938 and lived for 28 years more. She died from a completely different illness in 1966. On the 9th of June 1984, the eve of Pentecost, in the presence of the Holy Father John Paul II, the authenticity of the miracle experienced by Elizabeth En-Nakhel was publicly announced. This was necessary for beatification which took place on the 17th of November 1985. She was then called Blessed Rafqa. Her feast day is celebrated on the 23rd of March. The Miracle of Celine Rubeiz was the miracle that confirmed Rafqa's Saintliness. The story starts in October 1984, when one-year old Celine slept abnormally for 24 hours before being taken to hospital. After suffering from hemorrhage and swollen belly, Celine's tests showed she had a tumor in her kidney that had to be removed. Soon after the surgery, Celine's little body was ravaged by cancer. She was bleeding from her nose and ears. Doctors gave her 24 hours. In November 1985, Celine grandmother read an article about blessed Rafka and believed that some sand from Rafka's tomb was the only cure. So she brought some sand and gave them to Remonda, Celine's mother, who mixed the holy sand to a Mhallbieh plate to feed it to Celine who had stopped eating for a while. Celine ate the first plate and a second plate, them she woke up and started walking around in the hospital. Nurses and doctors could not believe their eyes. Today Celine leads a perfectly normal life. Celine's miracle was the latest proof awaited by the investigation committee for the saintliness of Rafka and it has finalized the Rafka case. Saint Rafqa's Miracles continue to this day and Shadi Estephan Kayyal was cured from a generalized cancer in 2000. Miracles continue to be granted through her intercession. Thousands of believers visit her tomb at Saint Joseph's monastery in Grabta. 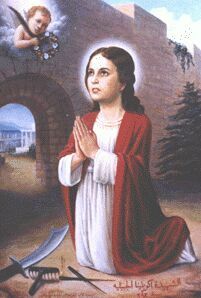 Saint Rafqa was canonized on June 10, 2001. Father Hardini was born Joseph Kassab in the year 1808 his father was George Kassab and his mother Marium Raad, daughter of Reverend Yousef Yacoub. He had four brothers and two sisters, his brothers were 'Assaf, Elias, Tanious, Yacoub and his sisters Masihieh and Mariam. Joseph's brother Elias became Father Lesha', the Hermit at Qozhaya, and later at 'Annaya where he died. Father Sharbel replaced the late Father Lesha' at the hermitage in 'Annaya. Joseph entered the school of the monks of St. Anthony at Houb from 1816 to 1822 and then entered the monastery of St. Anthony Ishaia and became a novice on November 1828. There he adopted the name Fr. Nimatullah Kassab Hardini, then he learned to bind books. He professed his first vows on 14th of November 1830. After he finished his theological studies, he was ordained a priest under Bishop Seiman Zwain in the monastery at Kfifan on 25th of December 1833. He became a member of the general council three times from 1845 to 1848, 1850 to 1853, 1856 to 1858. As a member of the council he continued to bind books. He taught in monastic schools, especially in Kfifan. Father Nimatullah lived a very holy life. He was a man of prayer, totally "enraptured by God". He spent days and nights in meditation, prayer and adoration of the Eucharist. The Virgin Mary was his patron and Father Nimatullah prayed Her Rosary. He was also a very humble, sensitive and patient person who lived his monastic vows of "obedience, chastity and poverty" to perfection. His fellow brother Monks and the people who knew him called him "The Saint" while he was still alive. 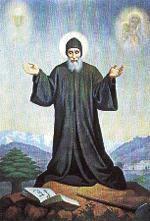 One of his students was Charbel Makhlouf (St. Charbel), 1853 to 1858. Father Nimatullah Hardini died in the monastery of Kfifan on 14th December 1858. He passed away after struggling ten days with a high fever which he contracted from the cold winter wind characteristic of northern Lebanon. He was only then fifty years of age. He died holding a picture of the Virgin Mary, his last words being: "O Virgin Mary between your hands I submit my soul." People who were nearby at the moment of Father Nimatullah's death witnessed a heavenly light illuminating his room and an aromatic smell which remained in his room for a number of days afterwards. When the then Patriarch, Boulos Massad, heard of Father Nimatullah's death he commented: "Congratulations to this monk who knew how to benefit from his monastic life." Some time later, the Monks opened Father Nimatullah's tomb and to their surprise they found his body had remained incorrupt. He was then removed and placed in a coffin near the church. After obtaining due permission from the local ecclesiastical authority, from 1864 visitors were allowed to see Father Neemtallah's intact body until 1927. In that same year the Committee of Inquiry set up to investigate the Cause of Father Nimatullah finalised its investigation. Father Nimatullah's body was then reburied in the curving wall of his monastic cell, before being transferred to a little Chapel where masses are celebrated for visitors. He was declared Venerable on September 7, 1989. At the behest of his Beatitude Patriarch Nasrallah Peter Sfeir, his body was examined and placed in a new coffin on May 18, 1996. His body was recently transferred to a new coffin made of cedar and placed in the Monastery of Kfifan where people may visit. Several cures have taken place through his intercession. These include the raising to life of a Muslim child whose mother claimed had died, the healing of a person with a neurological disease, the restoration of sight to a blind person and the curing of a person suffering from cancer. The case of the curing of Andre Najm is of particular note due to its very recent occurance and thourough investigation by the international medical community that followed. Andre Najm, born on October 29, 1966 enjoyed excellent health for the first twenty years of his life. However in June of 1986 he began to experience a chronic fatigue and nervous breakdowns, unable to even walk a short distance. Many physicians in Lebanon and abroad treated him to no avail. He was suffering from a form of blood cancer and required frequent blood transfusions. On September 26, 1987 Andre accompanied family and friends to the monastery of Kfifane where he prayed fervently at the grave of Fr. Hardini. The people around him heard him say "I beg you, Fr. Al-Hardini, give me a drop of blood for I am so tired to the point where I can't even beg for blood on the street." He then asked to wear the monastic habit, moments later he was cured, and cried out with joy, "I wore the monastic habit, I am cured, I don't need blood anymore!" Andre has not required any blood transfusions since that day, and in 1991 he married Rola Salim Raad. They have two children, a son named Charbel and a daughter named Rafka. Today, Andre is in excellent health. On May 2, 1996, His Excellency Bishop Khalil Abi-Nader, retired Bishop of the Maronite Diocese of Beirut, obtained the permission of His Beatitude Nasrallah Boutros Cardinal Sfeir to start the investigation of the miracle of Andre Najm. On September 26, 1996 the Congregation for the Causes of Saints began to study the miracle. On February 27, 1997 the five member medical team unanimously voted to accept the miraculous cure of Andre Najm, and on May 9, 1997, the seven member theological team also voted unanimously to accept the miracle. On July 1, 1997 the General Assembly of the Congregation for the Causes of Saints, which includes twenty-four cardinals, accepted the miracle. On July 7, 1997, and in the presence of the Holy Father Pope John Paul II, the Congregation for the Causes of Saints published a decree of accepting the miracle attributed to the intercession of the servant of God, Fr. Al-Hardini. Nimutallah al-Hardini's Beatification by Pope John Paul II was held at Saint Peter's Basilica in Rome on Sunday May 10, 1998. The Maronite Church celebrates his feast day on the 14th of December. Aquilina was born in Byblos in 281. Her father's name was Eutolmius. She received her catechism from Evthalios, Bishop of Byblos. Her heart was inflamed with the love of Christ; hence her faith and fervor radiated like the sun in Byblos and its surroundings. At the age of twelve, Aquilina began an endeavor to spread Christianity among her compatriots. That was done through her example and teachings driven by the zeal of apostles and the innocence of children. Due to her preaching, many of the pagans were baptized, especially young lads and maidens. She was reported to the authorities and brought before Magistrate Volusian during the reign of Emperor Diocletian, and, when questioned about her activities she replied "I am Christian". The Magistrate said, "You are leading your friends and comrades away from the religion of our gods to the belief in Christ, the Crucified. Don't you know that our kings condemn this Christ and sentence to death those who worship him? Leave this error and offer oblation to the gods and you shall live. If you refuse, you shall undergo the most atrocious sufferings." Aquilina answered "I am not afraid of suffering at all; rather, I aspire to it because with it I emulate my God, Jesus Christ, and die like Him, so that I am resurrected and glorified with Him." Upon her response, Volusian ordered that she be flogged. She was then tied and flogged mercilessly. The Magistrate tried again to shake her determination, but she answered with courage: "Neither you nor Satan will be able to impose on me sufferings stronger than my strength to sustain, with the power of my God, Jesus." Volusian, the Magistrate, tried to forget the matter of this maiden, counting on time to change her position, saying to her: "You are going to change your opinion in a few days, so contemplate the matter." Aquilina answered, "I shall never change my mind. I am determined and I shall not budge. I lived a Christian since my childhood and Christian I shall die." Upon her answer, the Magistrate ordered that her body be lacerated by a sharp rake. This lasted until she fainted and fell on the floor, then her eardrums were punctured with flaming iron rods forcing the brain to discharge through her nose. Volusian thought that she had died so he ordered that she be thrown outside the walls of the city. Later, it is said with the help of an angel, Aquilina regained consciousness and went before the Magistrate. Upon seeing her, he was astonished and thought that he was dreaming. He ordered that she be imprisoned and decapitated in the morning. The next day, 13th June 293 A.D, she was found dead in her cell. The Christians buried her body outside the city where her tomb became a site for pilgrimage and cures. Marina was born in Qlamoun North Lebanon sometime in the fifth century . Her father was a pious man. Her mother died while Marina was very young. This has made her father renounce the world and leave for the Monastery of Qannoubine in the Holy Valley; accompanying him was his daughter, whom he dressed like a man. It is said that her parents names were Ibrahim and Baddoura or and Eugene and Theodora. It is also said that her when the father became a monk left her in the care of her caretaker and after a few years he returned to see her, at which time she insisted on going wherever he went. In any event, father and daughter entered into monkshood with the daughter still pretending to be a man. As a monk she was known by the name Marinos. Although young, Marina occupied herself with the practice of monastic virtues with utmost spirit and minuteness. She was silent and reticent with bowed head and eyes, concealed the features of her face and eyes with a hood. One day she was sent to a neighboring town on a mission for the Monastery. He was obliged to spend the night at the house of a friend of the monks named Paphnotius. Paphnotius had a young girl who had fallen into adultery and was found pregnant. Upon finding out, her father was enraged and demanded the name of the perpetrator. His daughter told him that Marinos the Monk had raped her the night he spent in their house. Her father went straight to the Monastery and told the Superior, who was surprised for he knew that Marinos is pious and pure. The Superior called Marina and scolded her, but Marina said nothing to defend herself and did not reveal that she was a woman. Consequently, the Superior was very perplexed and considered Marina’s silence to be an admission of guilt. He then sentenced Marina to dismissal and to be thrown outside the Monastery. Marina resigned herself to the will of God and stayed at the door of the Monastery praying and living off the leftovers of the monks’ food. Her father had long since died. When Paphnotius' daughter delivered, Paphnotius brought the child, a boy, to the Monastery and gave him to Marina to raise.Marina took the boy and began raising him with what the monks used to bring in th way of goat's milk and of leftovers from their table. Marina carried the shame of this hideous accusation without any complaints and still did not reveal that she was a woman. It is believed that upon receiving the child to raise, she cut a piece from her habit to swaddle him and that upon her retreat into the grotto to raise the child, she miraculously was able to nurse the infant from her own breasts. Another version states that she used to feed the child milk, donated by the shepherds who used the pastures in the vicinity of her grotto. This situation lasted four years until the Superior had compassion for her and let her enter the Monastery under very strict conditions. Marina persevered in her ascetic work until the hour of her death when the features of his face glowed with a heavenly light. She asked forgiveness from all and she forgave all those who sinned against her. She then gave up her spirit. The Superior then ordered that the body be prepared for burial outside the Monastery. It is not known how long she lived after the accusation, there are mainly two versions, one claiming that it was 4 years and another states that it was around 20 years. It was a great moment of astonishment when the monks found that Marina was infact a woman and not a man. The Superior and the monks fell on their knees before asking God and marina for forgiveness. Legend tells that when she died, the bells of the monastery rang on their own. As for the father of the sinful daughter, he was ashamed and came to make a statement before everyone. As for the daughter, she spent her life crying and repenting at the tomb of Marina. Tradition has it that Tourza, a village in north Lebanon about 29km from Besharre, was the place of the sin that was laid on Marina. It is believed that because of the slanderer’s action, this village remained forever poor and was several times destroyed by earthquakes. The sanctity of Marina spread all over Lebanon, people from all its regions came to the Monastery of Qannoubine to be blessed by her body. Her tomb became a source of cures and graces.